Ammann Gallery presents METALS the new Nucleo project at the Pavilion of Art and Design in London (PAD). 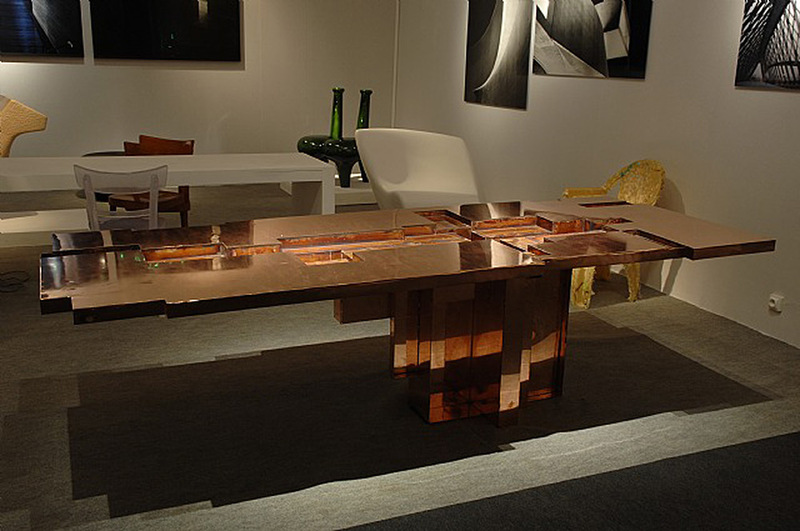 The METALS collection consists of three same tables made with different materials that are based on the age of metals: Copper Age, Bronze Age ed Iron Age. The first one is COPPER AGE, unique piece realized with welded copper plates.